One of the things that I haven’t yet done and is certainly on my travel bucket list is to cruise! Set sail across the sea and enjoy wilderness into the oblivion like never before. Of course sailing alone would be on the top of that list, however, to begin with a cruise would be the most imperious way to spend a time of my life letting my hair down and relaxing all the way for a week without the hassle of the world. Leaving behind all the worries I’d love to enjoy something that would help me feel rejuvenated again. So I decided to check out what are some of the best Asia cruises and this is what I’d recommend to be on top of your list. One of the best things about Asia is that on the Far East cruise you’ll get to see Asia in all its shades. Just last week Cherry Blossom in Japan happened and that is something you shouldn’t miss especially during April. This cruise offers just that. Far East, cherry blossom, buzzing markets in my hometown Mumbai, raving sunsets across beaches in Thailand. Asia is best known for a wide variety of it’s beauty. The best thing about Asia is that it has diversity to the best of anyone’s reach. There are places that you can’t even imagine and you’d get to cruise among these beautiful views across the sea and cover various landscapes at it’s ports. If you have trouble deciding where to begin then let size be your guide. Covering an area of more than nine million square kilometres, China has to be a splendid pick as part of their collection of Far East cruise holidays. Certainly beautiful from a cultural stand point too. The country has a history that dates back to more than 4,000 years, making the 15th-century Forbidden City in Beijing an infant as far as the timeline is concerned. Next in the size line is India, a country of chalk and cheese sights. Anyone with stars in their eyes should head to Film City in Mumbai to perform in a Bollywood movie. Foodies can try a real-deal curry in Madras. Sunseekers, meanwhile, can loose track of time on the beaches of Goa. Thailand is a smaller country as far as the list of Far East cruise stops. However on the beaches of Koh Samui, the sand is truly white and the water is crystal clear. Then you’ve got Bangkok, a city where twelve-lane motorways and skyscrapers go hand in hand with old ancient temples. Moving on, you’ll find Japan. This country has a beautiful mixture of past and the future, ancient and cultural as well as modern and technological. Villagers plant rice in the paddy fields in various perfectures at the same time as cartoon-like Harashuku girls try to out-vogue each other in the cosmopolitan cafes of Tokyo. Once you’ve ticked off the biggest countries in the Far East cruise collection, you can move onto the more pint sized places. Sip jasmine tea in the teahouses of Ho Chi Minh City and worry the bank manager during a spree at the world’s largest department store in Busan, South Korea. Alternatively, spread yourself like butter over the beaches of Penang in Malaysia. Something worth doing especially if you are in love with Asia! What say? 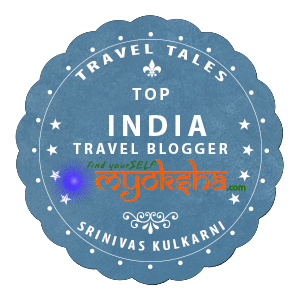 This entry was posted in Tales Across the World and tagged Asia, Asia Cruise, Beaches, Cherry blossom, China, Cruise, Goa, Japan, Mumbai, Osaka, Thailand, Vietnam on April 9, 2013 by srinistuff.